New Years Eve is easily one of my favorite holidays, without a doubt. I love all the new beginnings, the sparkle, and the excuse to dress up. 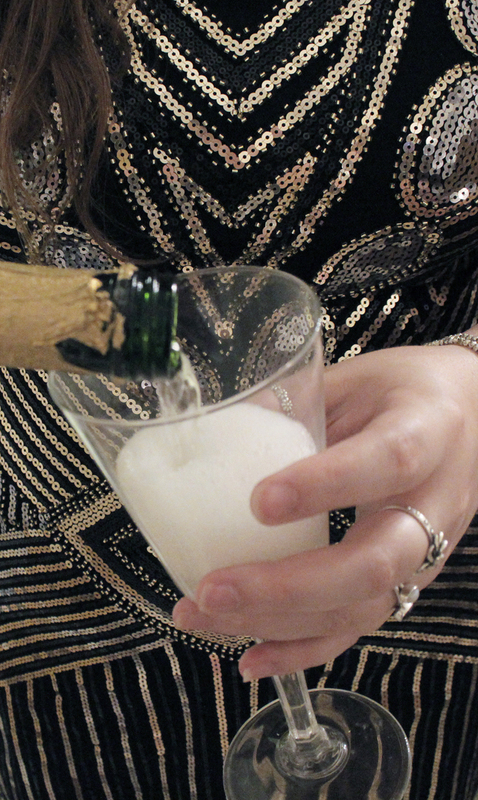 Plus, who doesn't love staying up late for a champagne toast? 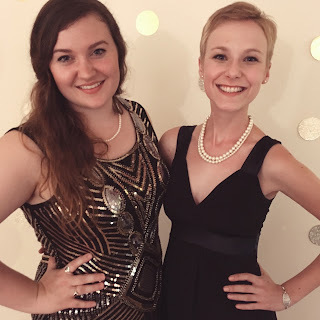 In this post, I've got some pointers for a glizty yet inexpensive gatsby-themed shindig that I pulled off for my friends. It was a roaring good time! 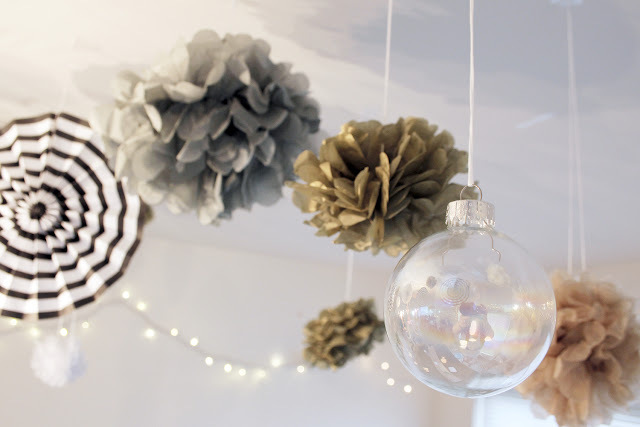 Tip 1: Re-use Holiday Decor! If you have white, gold, or silver Xmas lights, ornaments, or tinsel decorations, change them around and re-use them for NYE! 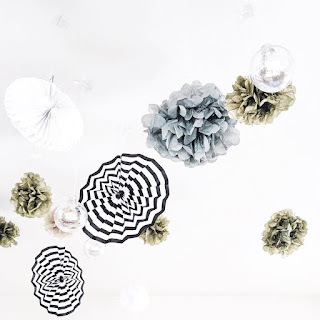 I strung clear baubles on strings and hung them from the ceiling (total champagne bubble vibes) as well as tissue paper pom-poms for a fun ceiling arrangement. Tip 2: Shop Holiday Sales & Clearance! Target always seems to have pretty decor on sale, and there are bound to be tons of non-holiday specific decorations that fit the New Years theme perfectly. Thrift stores, Party City and The Dollar Tree are great options too! Tip 3: Ask friends to bring a dish! 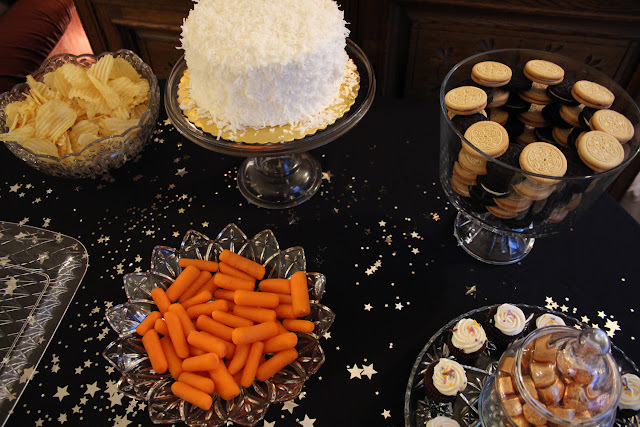 This alleviates some of the stress (and expense) of feeding your guests, and makes your friends feel helpful. 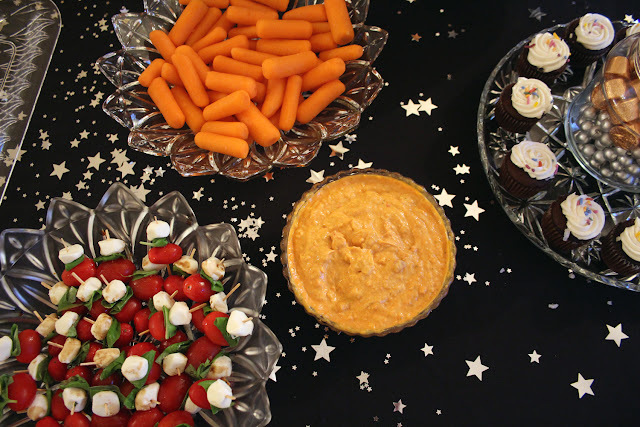 Plus, there will be something for everyone, as people will tend to their own dietary needs with the snacks they bring. And who knows, some of your friends could be secret master chefs! Tip 4: Know where to splurge! Since you're planning the party, you can decide where you'd like to spend the biggest chunk of your money. 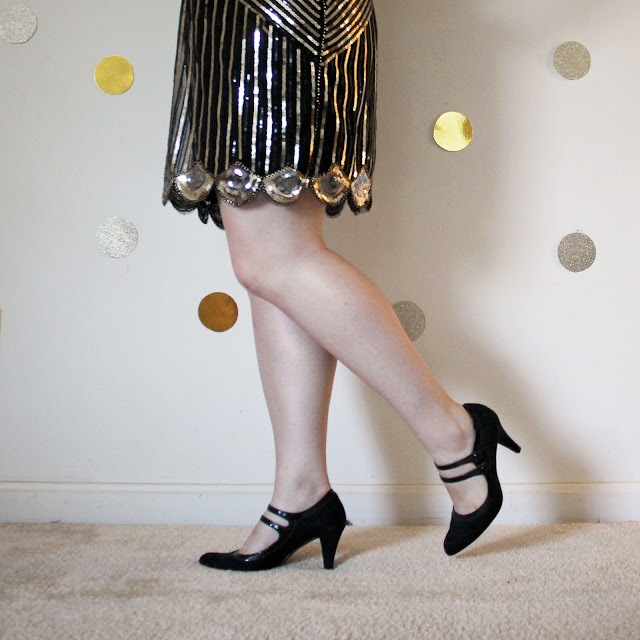 If you feel like a flapper dress would be the best investment, put your money there! 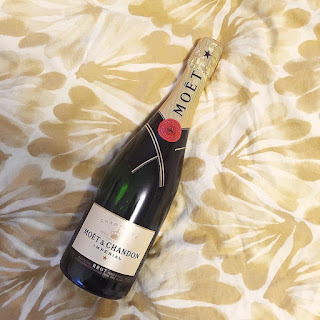 Think fancy champagne will make you feel luxe into the new year, pop that bubbly! 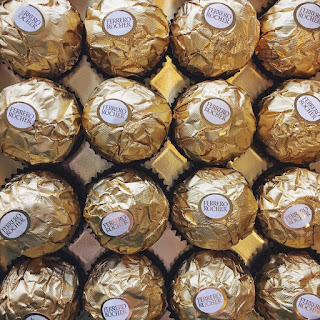 Want a towering display of Ferrero Rocher chocolates? Invite me over! 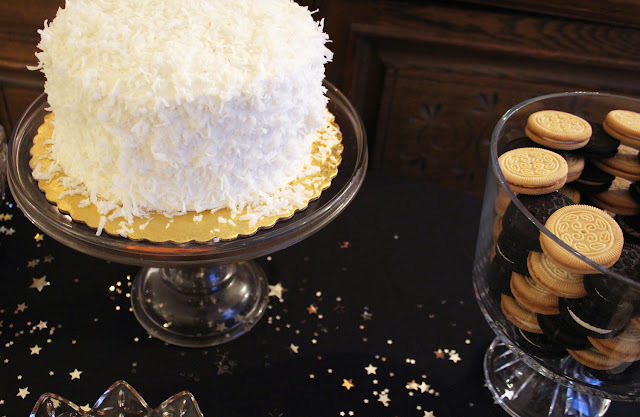 Add your personal touches to make the party extra special, and most importantly, have fun! Tip 5: Get fancy with what you have! 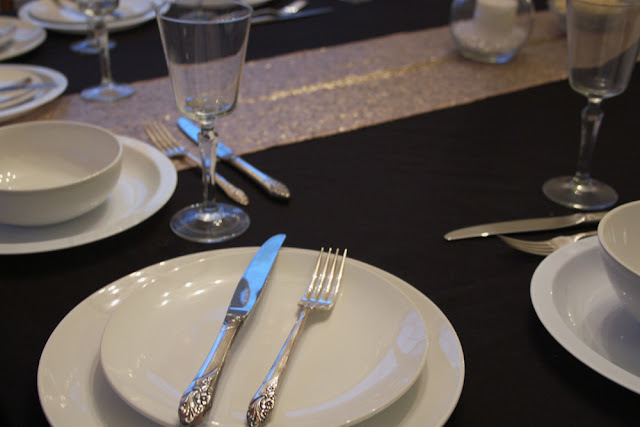 It's okay if you don't have 28 place settings of matching heirloom silverware, but if you have it, break it out! An eclectic mix of new and old is perfect for a prohibition-chic theme! Mason jars or crystal wine glasses, it doesn't matter. Drink whiskey out of teacups - get creative! 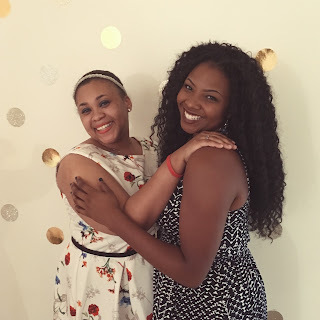 Tip 6: Celebrate your friends! Don't stress! Remember it doesn't have to be perfect and sit back and enjoy the time with your friends. Find an old jazz station on Spotify and watch a YouTube tutorial on how to do the Charleston. 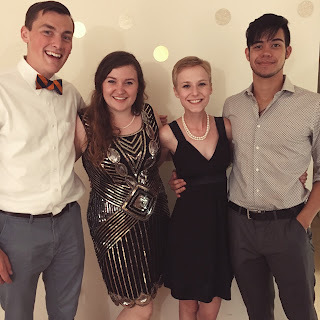 Keep it fun and dance until the New Year! What are you doing this NYE? So cute! I am totally going to pin this for next year!